Did you happen to tune live to today’s “Hello Again” Mac event held at Apple’s headquarters in Cupertino, California? 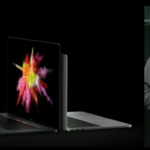 The company focused its announcements on brand new 13-inch and 15-inch MacBook Pro models, which introduced the Touch Bar with Touch ID. Here’s a list of today’s coverage of all the announcements.